Ah fantasy football… bashing your head against your laptop trying to figure out how to fit Harry Kane into your team whilst staying within budget, we’ve all been there right? Well not if you’re PSG of course. For a team that laughs in the face of budget restrictions, you;d imagine they need some pretty slick threads right? Well of course. Nike has that bit covered, but to properly cover just how slick PSG’s third kit looks, renowned Paris photographer Cyril Masson found himself behind the lens to showcase the growing amount of superstars that find themselves on PSG’s books these days. 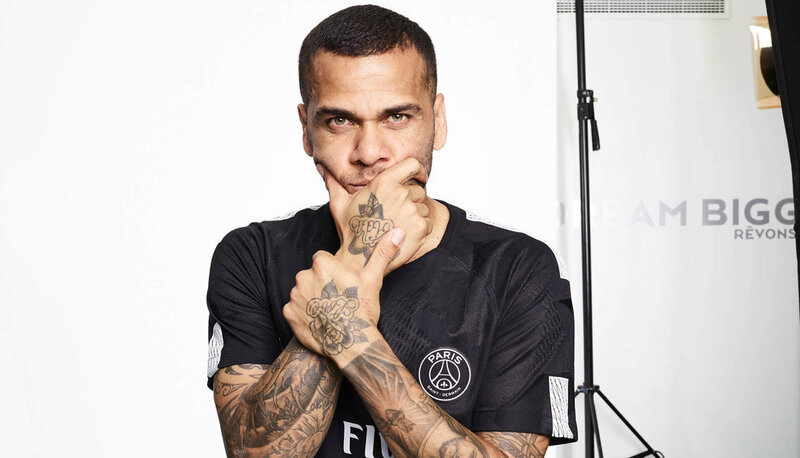 The latest red-carpet signing Kylian Mbappe joined Neymar, Dani Alves, Edison Cavani and Marco Verratti as Masson shot a series of portraits that captured the playful personalities of a squad equipped to muscle into the mix in Europe this season. See More Of PSG's Threads By Subscribing Below! Spamming makes as much sense to us as Harry Kane taking a corner, don't worry.